With 51 songs on 2 CDs and running for over two and a half hours, Together and Alone is a landmark retrospective of two of Broadway's brightest stars ever, Nora Bayes and Jack Norworth. This ambitious collection boasts some of the most classic songs in American history, performed by the pair that brought them to the stage. 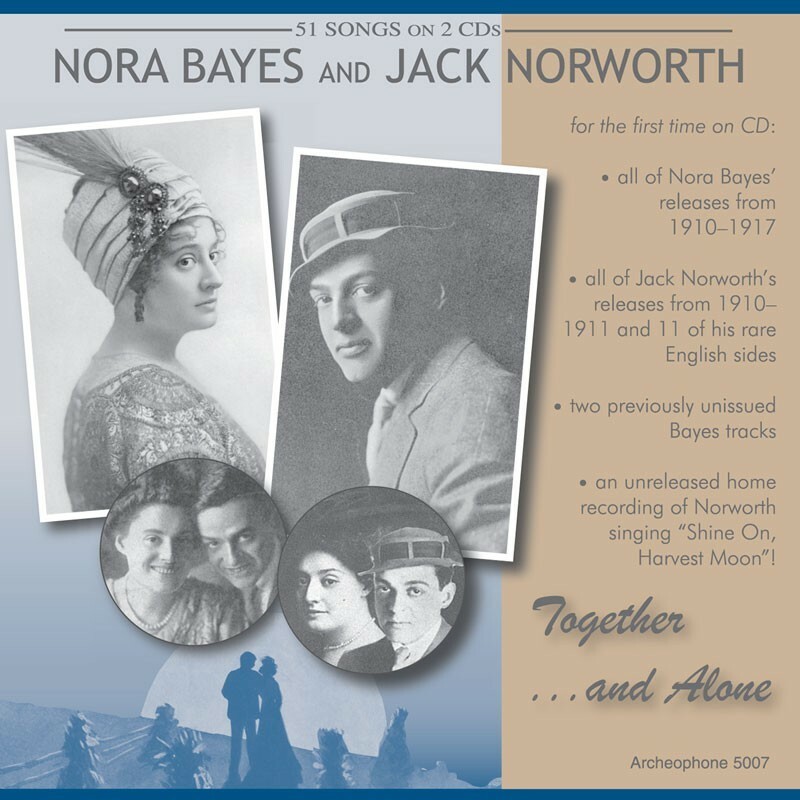 In addition to a 32-page booklet with extensive illustrations and notes co-authored by Allen G. Debus, the CD includes three never-before released tracks: two by Nora Bayes from 1917 and one by Jack Norworth from ca. 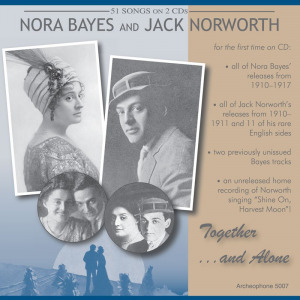 1950â€”a home recording of Bayes and Norworth's biggest hit, "Shine On, Harvest Moon." Visit Together and Alone's expanded catalogue page to see the complete track listing, read an extended description, and listen to sound samples.